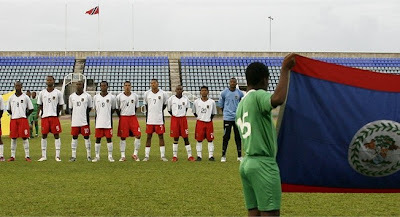 On August 30th, 2011 the Belize National Football Team left for St. George’s Grenada, where on Friday, September 2nd, they faced home team Grenada in their first Group E game in the 2nd round of World Cup 2014 Qualifiers. 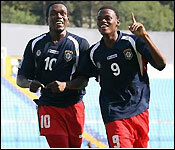 Grenada is ranked #16 in CONCACAF (#118 in the World), while Belize is ranked #22 (#148 World). 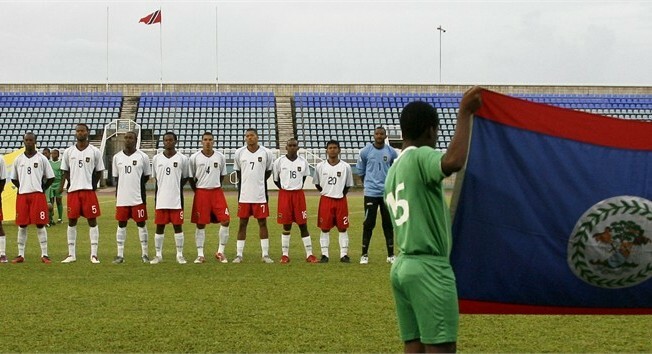 Belize won the match, 3-0. Deon McCauley scored a goal in each half, his third consecutive World Cup qualifier in which he has scored at least one goal. McCauley put Belize ahead in the 11th minute, Harrison Roches doubled the lead in the 35th and McCauley finished the scoring in the 79th. McCauley had three goals in a 5-2 preliminary round, first-leg victory over Montserrat and another in the 3-1 second-leg win. On Tuesday, September 6th, Belize will host #13 ranked Guatemala (#113 World) at the FFB Stadium in Belmopan. A month later, Belize will host Grenada on October 7th, then travels to Guatemala for their return match on October 11th. Our first encounter with #25 ranked St. Vincent & the Grenadines (#158 World) will take place at the FFB Stadium in Belmopan on November 11th; and the return match in St. Vincent & the Grenadines is on November 15th. The winner of the 4-team group advances to Round 3 of the World Cup Qualifiers. One of the minnows of the Central American scene, Belize have been making big strides of late in a bid to improve their international standing. 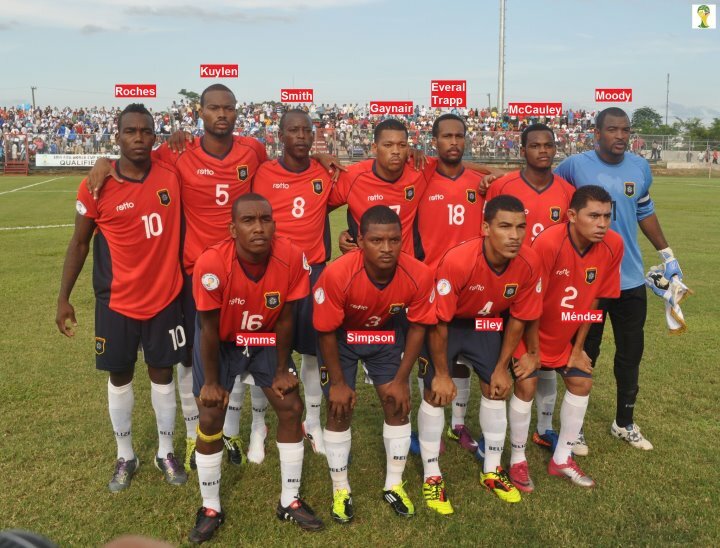 They reached the second preliminary round of CONCACAF qualifying for the FIFA World Cup South Africa 2010 with an easy win in their series over St Kitts and Nevis, and they repeated the feat this time out by strolling past Caribbean upstarts Montserrat to keep themselves in the pot for an unlikely place at Brazil 2014. The Belize national team is comprised mainly of semi-professional and amateur players, but they do have a few full-timers in their ranks who offer that much-needed bit of experience and fitness to separate them from the rest of the pack at the bottom end of the CONCACAF pool. With a fine goalkeeper in Shane Orio and number of pacey and talented wingers and midfield men. Belize’s standout, leader and all-around star is Orio, a burly and athletic net-minder of uncommon ability and class. He plays his club football in Honduras with local giants CD Marathon. 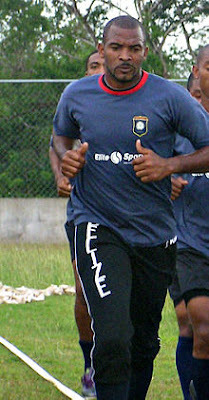 Two of Orio’s team-mates, both named Elroy (Kuylen and Smith) are also based in Honduras alongside the impressive Deon McCauley. 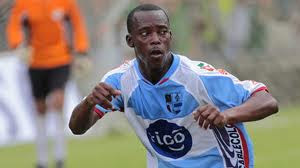 The rest of the Jaguars, coached by colourful Honduran-born boss Jose de la Paz, are following the lead of this avant-garde. On Tuesday September 6th, the game will be played at 4:00 p.m. and tickets are available now on sale at Infotel International in Belize City, the FFB Office in Belmopan, Shell One Stop Gas Station in Orange Walk, Kush International Salon in Dangriga, OYE Radio in San Ignacio, and Raynord Garbutt in Santa Elena. COME OUT AND SUPPORT THE JAGUARS ON TUESDAY SEPT. 6TH IN BELMOPAN AGAINST GUATEMALA!!!!! Good job reporting Linda...Thank you! !